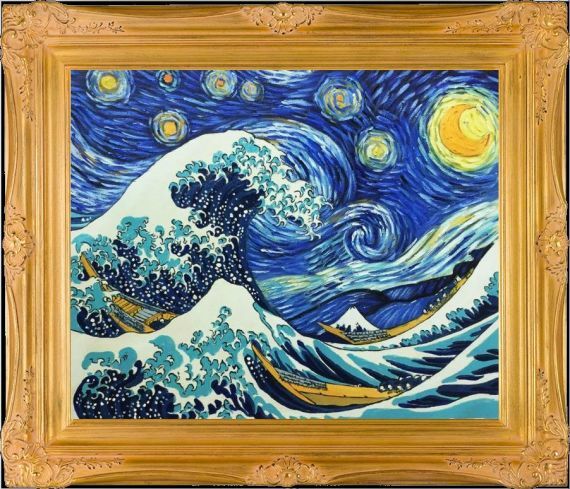 If you're a fan of iconic works of art, you'll love this unique painting by La Pastiche Originals. 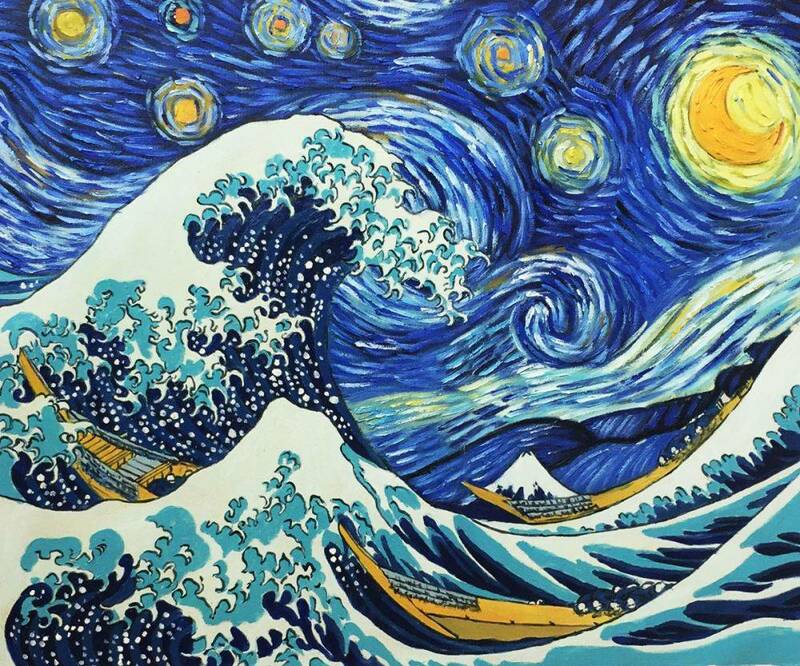 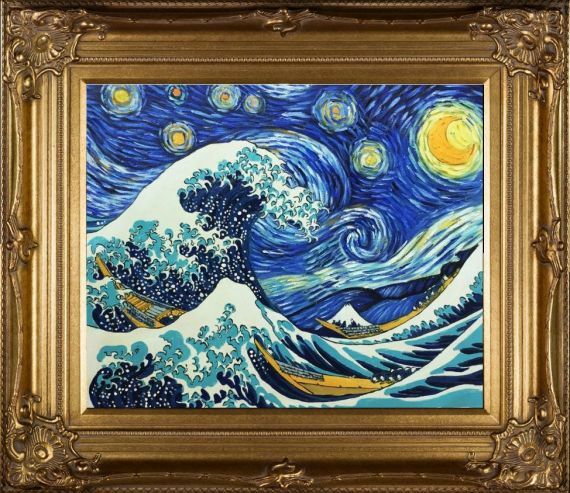 "Starry Night Wave Collage" combines elements of two masterpieces (Vincent Van Gogh's timeless "Starry Night" combined with Katsushika Hokusai's "The Great Wave off Kanagawa") to create a totally new and fascinating take on the artists' work. 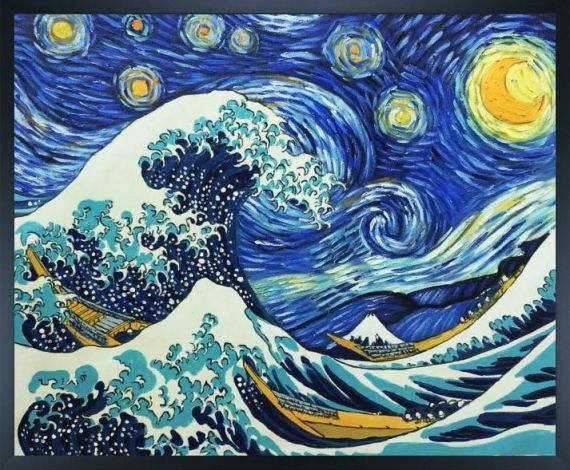 The blues and greens of the color palettes in both paintings make this an excellent chance to mashup two works of art into one stunning collage. 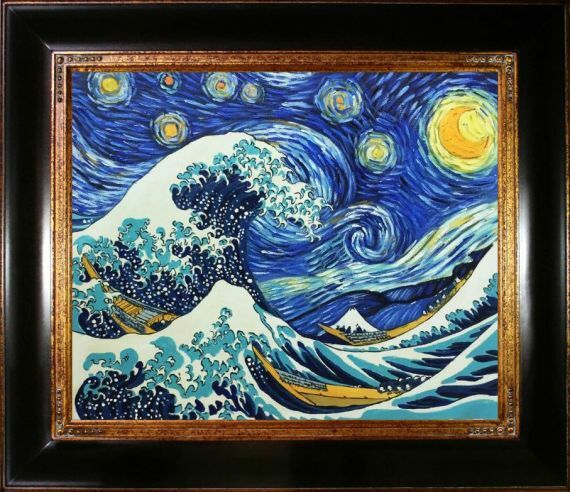 This painting is created by luxury brand La Pastiche, which utilizes skilled artists to produce stunning tributes to some of the most famous artists in history. 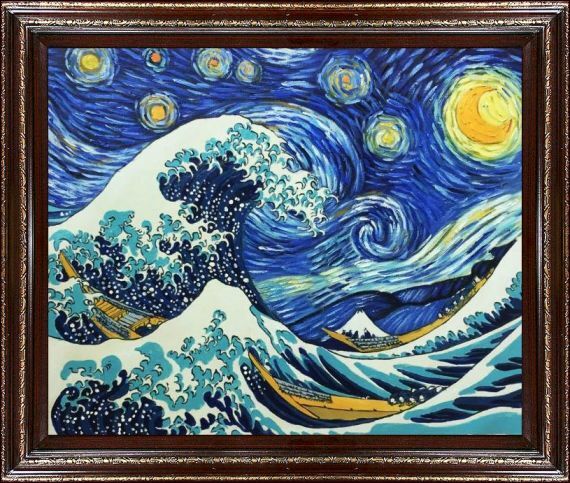 Skip the "Starry Night Wave Collage" poster and upgrade to an affordable, hand-painted canvas from overstockArt.